With Iranians celebrating the New Year on Monday, State media turned to promotion of the latest interview by Hezbollah leader Hassan Nasrallah challenging Israel and reasserting involvement in Syria’s civil war. 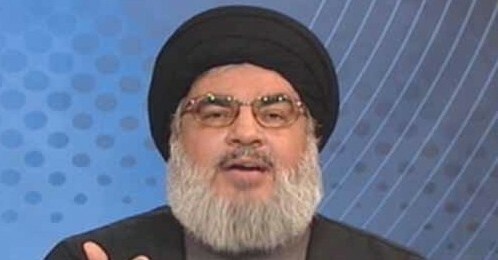 Speaking to Al-Mayadeen TV, Nasrallah said that, in any war with “the Zionists”, Hezbollah would strike all Israeli “petrochemical factories, biological institutes, and nuclear stores”. He advised Israel’s residents to “ask your government that does not care about you to move the dangerous facilities from the residential areas”. The Hezbollah leader said the Russian launch of airstrikes from September 30, supporting foreign-led regime offensives, was discussed before six months before implementation. However, he gave an unusual explanation for President Vladimir Putin’s surprise announcement on March 14 of the withdrawal of “most” Russian forces, saying that it was due to a decrease in Russian-Turkish tensions.